At MWN, everything revolves around quality rolls. 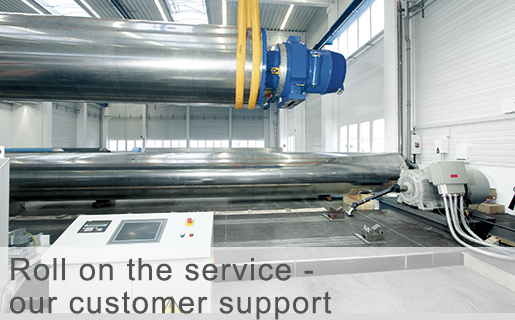 One-stop solutions: MWN’s roll services range from testing to essential maintenance and re-engineering – for all types of rolls and shells. As well as providing quick turnaround support, our customer service professionals take pride in their eye for world-class quality assurance when carrying out customer maintenance. The bottom line for you: guaranteed as-quick-as-it-gets availability. Rounding off the service: MWN maintenance contracts Our made-to-measure roll maintenance contracts bring you benefits on a number of fronts. 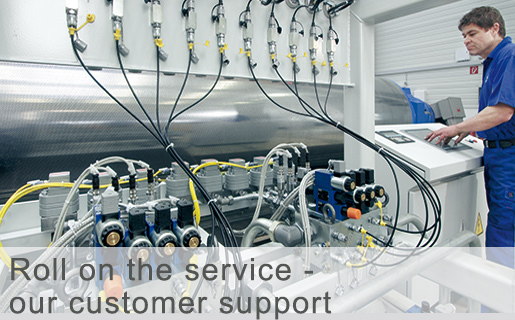 Not only is servicing quick, it’s carried out by trained professionals. Depending on your requirements, we can provide essential maintenance, upgrades, grinding, coating, assembly supervision, staff training plus a variety of other specialist services. Whatever your needs, we roll out the carpet to help you.